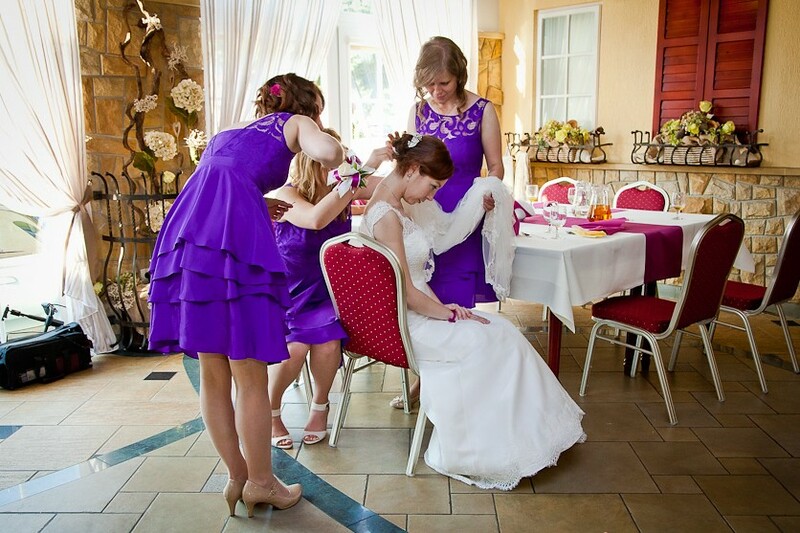 The other wonderful wedding I attended this summer was my lovely friend Maja's. It took place in Poland one weekend in July, the week after the hen party I blogged about here. And I was incredibly excited and honoured to be a bridesmaid! I have discovered in myself a love for bridesmaiding and I feel a little bereft now that all the wedding excitement is over. 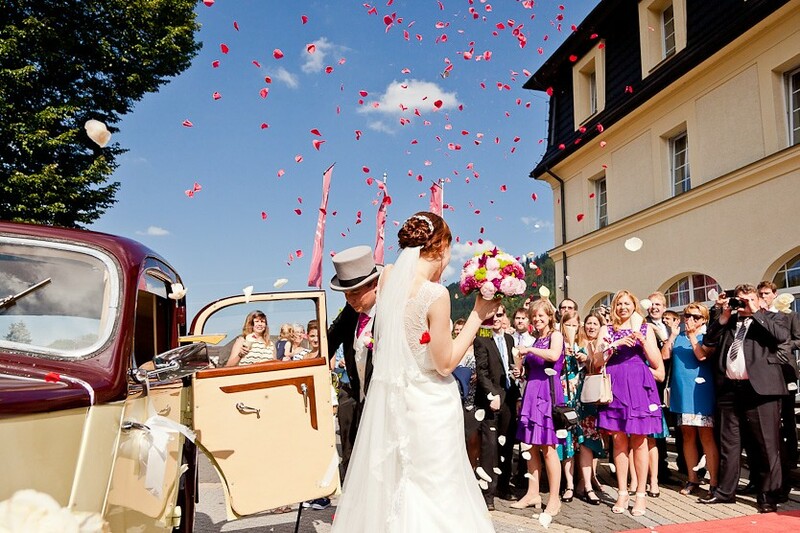 I tried offering my services as a bridesmaid/hen party planner to other brides-to-be that I met, especially given that I have bridesmaiding experience, but no luck. So if you're looking for bridesmaid, do let me know! Since I was bridesmaiding, I actually took very few pictures, so I have included one or two here taken by the official photographer, and they are really stunning. Maja's dress was nothing short of perfect. And she looked absolutely beautiful. The challenge of the day was definitely keeping the long veil pinned into place but it offset her lovely gown brilliantly. We were also extremely pleased with the bridesmaids dresses! The layers in the skirt swish out when dancing and after a quick check in the mirror, we worked out between us that while the top layer did fly right out, the bottom layer left us with modesty intact and no knickers on show. The perfect amount of twirl! The couple are both excellent dancers and have spent many hours learning Ballroom and Latin in the time I've known them. It was a real treat to watch them dance! 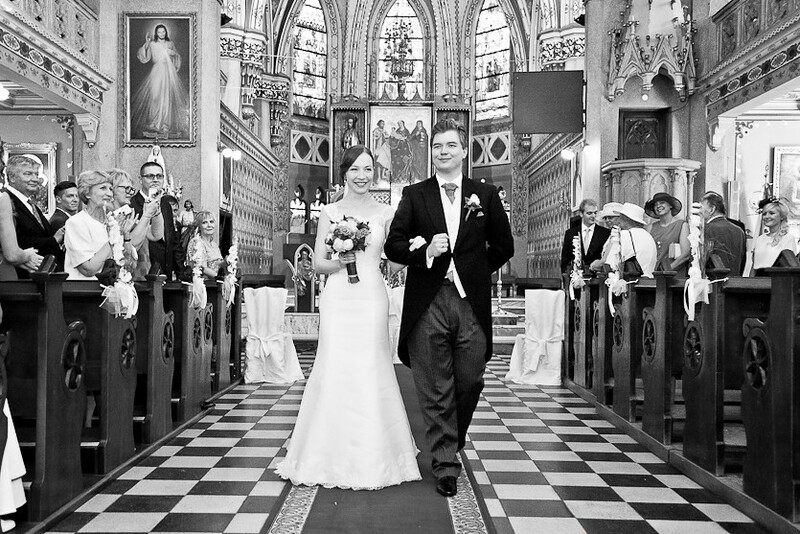 One of the things I really loved about this wedding was the warmth and welcome we received in Poland. I had met quite a few of Maja's family before on previous visits and it was lovely to see them again, but during the wedding, we were all made to feel like one big family. The couple had gone to a lot of effort to provide us with translations and the reception had a very inclusive quality; everybody was encouraged to join in and dance and celebrate. It was great to experience some of the wedding traditions in another culture too! 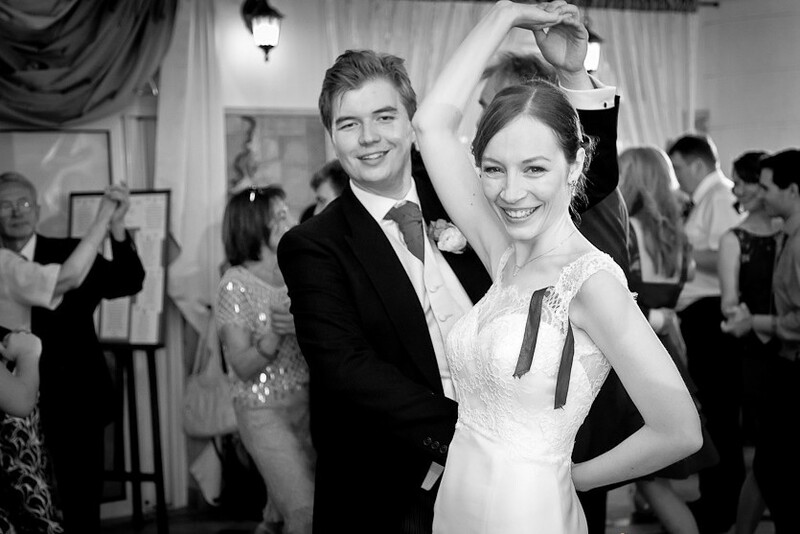 I have often joked with Maja that I look forward to her having a big Polish wedding one day, and she didn't disappoint! 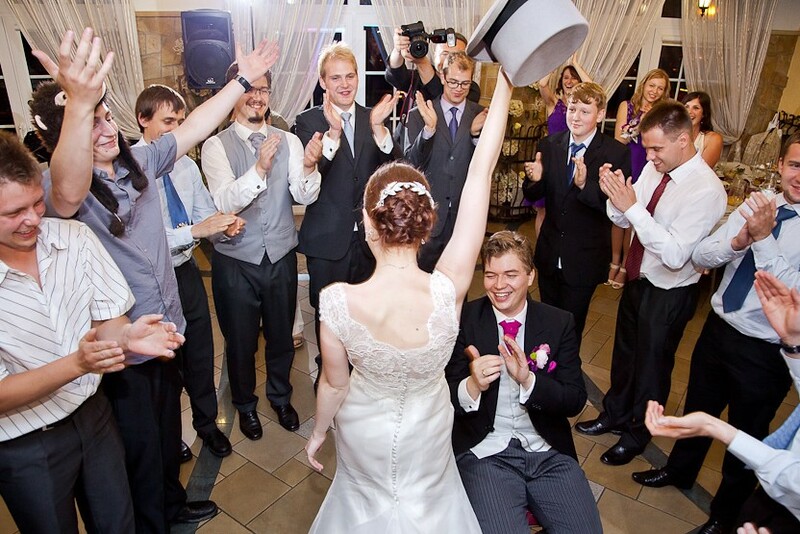 There were lots of games and traditions, and in the picture above, you can see Maja triumphantly holding up the groom's hat, having stolen it from the groom while the rest of the men tried to prevent her getting to him. We also played an equivalent game where we ladies had to prevent the groom from stealing the garter. Once this merriment is accomplished, the bride tosses the garter, caught by yours truly, and then the groom tosses his hat, caught by....Maja's brother. 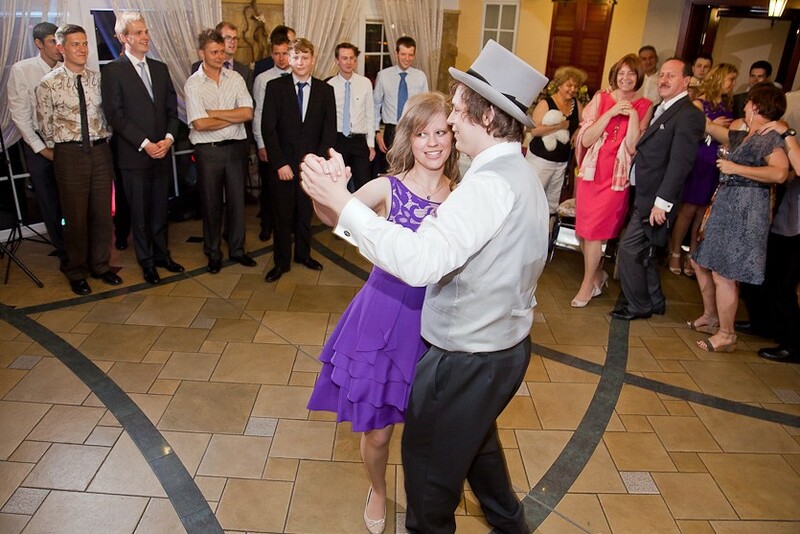 Apparently the tradition is then that we dance together and will get married within a year. I'm not sure if that's to each other though? It was the most amazing weekend filled with love and laughter. My only slight sadness is that its now all over (although I will ask Maja if she would like to renew her vows on an annual basis and have regular wedding re-enactments). It was amazing and I wish the happy couple and wonderful marriage. P.S. Another 6 photos add onto the #500snapsofsummer count bringing it up to 265 with 235 left to snap. P.P.S. This just scratches at the suface of the fun we had and I feel I could write pages and pages about both of the weddings I attended this summer. Both perfect, both different and both for people I love and am so happy to count as friends. But I think this will be if for wedding posts now.